Chicago, let’s face it, winter is coming. Pun intended. Seriously though, winter’s return is eminent. One thing we can ALWAYS count on in Chicago, is winter will most assuredly come. I mean, let's face it, winter is here, already, in November. Despite all the hubbub about Chicago summers, we cannot actually count on summer to show itself. I’m still waiting on Summer 2014 to fully show up. But just because winter is coming (in my best Game of Thrones accent) doesn’t mean our fashion has to suffer during the long, dark days of winter. We can still look Kyndafly. And let’s admit it, dressing in the fall/winter can be fun! Chunky sweaters, leather jackets, cords, tights, boots, yes…Boots! And when the winter weather takes it up a notch with slush and snow, Sorel has the fashionista in us covered. 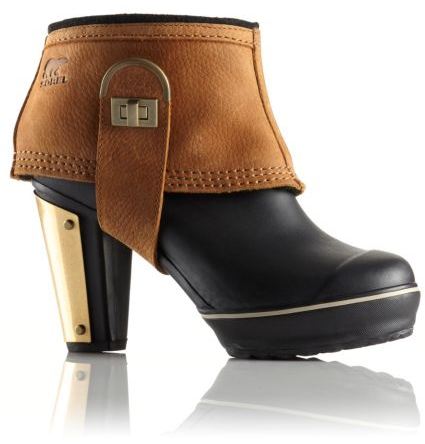 Check out the Medina II, a winter boot so chic, I’d wear it even if there’s no snow in sight. So ladies, the next time a winter storm threatens your night out on the town, look no further than this awesome work of art from Sorel! Because, let's face it, before we know it, it will be looking like this, and we may as well be cute when we're out in it. And if you’re also looking for a traditional pair of snow boots, Sorel has a rather decent selection to choose from.